34. Sotherton, Suffolk – the origins of a name? 11. Thomas Meriton Pellatt – or Sargeant: who is the father? I which I set out the families of Sotherton Backler with his first wife, Frances Harris and his second wife, Hannah Osborne. I know little about the wives, but quite a bit about their offspring! The story becomes quite complicated for some of them, so I sketch just a very brief outline here. Later blogs will follow the different families in turn. I will look at my 3x great grandfather Samuel Backler and his descendants after I have covered all the others. But in my next blog I will trace what is known of the career of Sotherton Backler, Clerk to the Society of Apothecaries. His period of office spanned (just) the funeral of Admiral Lord Nelson, and the Apothecaries Act of 1815m a very important landmark in the regulation of the medical profession. Sotherton Backler, Clerk to the Worshipful Society of Apothecaries, married twice, first to Frances Harris on 11 February 1777, at St Mary’s Stoke Newington (the old St Mary’s, pictured). Witnesses were Hannah Harris, John Freeman and Nathl Jennings. John Freeman was most likely Sotherton’s brother in law, married in 1770 to his sister Ann. Sotherton Backler (1778 – 1786). Nine year old Sotherton was buried at St Andrew by the Wardrobe, the companion church to St Ann Blackfriars, on 30 December 1786 – not a very happy Christmas for the Backler family, since this burial took place just just 14 days after the burial of Sotherton’s infant half-brother Thomas (see below). Frances Backler (1779 – 1833). Frances fared better than her older brother Sotherton. She was christened on 23 May 1779 at St Ann Blackfriars, the local church for the Society of Apothecaries. She was buried at Bunhill Fields Burial ground in October 1833, having been brought from Hampden Street, Somers Town. Several Backlers and related families seemed to have lived in this area, which is east of Euston Station and north of Euston Road. Hampden Street can be seen on the map through the link below. Hannah Backler (c. 1780-1870) and John Backler (c. 1780-1846) These two were christened on 11 June 1780 at St Ann Blackfriars – were they twins? Hannah later lived at the Jeffrye Almshouses with her half-sister Sarah Anne. John was the first of Sotherton’s sons to become an apothecary, and will also feature in a later blog. He and his descendants have fascinating stories to tell. Is it possible that Frances died at or soon after the birth of the twins? No death or burial record for her has been traced to date. Sotherton then married Hannah Osborne (c. 1763 – 1803) on 3 October 1782, in Bocking Essex. Could she have been the daughter of Thomas Osborne, whose signature appeared alongside Sotherton’s in the London Sessions Court document mentioned in my last blog? So far it has not been possible to trace details about Hannah, although there are some possible leads in Bocking awaiting perusal. Sarah Ann Backler (c.1783-1857) was the eldest, christened at St Mary Stoke Newington on 10 August 1783. Sarah Ann died in 1857 at the Jeffrye Almshouses in Shoreditch. Samuel Backler (1784-1870) – my 3x great grandfather, also christened at St Mary Stoke Newington: a not-quite-qualified sometime apothecary, tobacconist and chemist, about whose business, bankruptcy and eventual demise we will hear about in blogs to come. Samuel married Mary Pellatt in 1810. 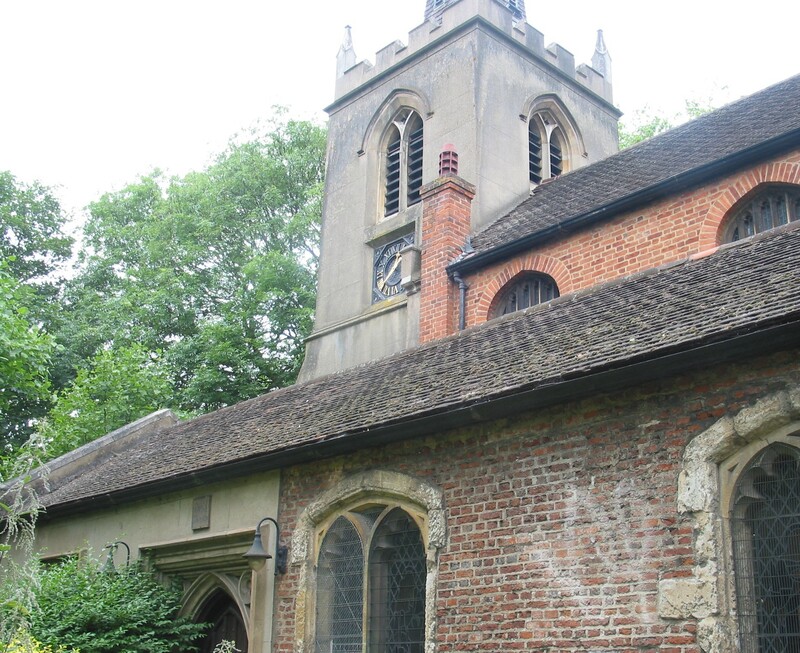 Thomas Backler – born and died in 1786 – christened at St Ann Blackfriars on 8 May 1786, and buried at St Andrew by the Wardrobe, 16 December 1786 – just 14 days before his older half-brother Sotherton. Both were buried in the church. Joseph Backler – christened January 1788, died 1848. A famous artist in stained glass, whose son Joseph became a noted convict artist in Australia – much more about them and others of Joseph’s offspring to come. Joseph married Jane Cowie. Jane Ozella Backler christened 17 February 1795. Married Daniel Burton. Thomas Osborne Backler christened St Ann Blackfriars 3 August 1796. Buried St Andrew by the Wardrobe 2 December 1796. Given the traditional naming patterns in this family, and the fact that there was already one son ‘Thomas’, born and died in 1786, I feel the name of ‘Thomas Osborne’ was likely that of Hannah’s father. This remains to be proved. Sotherton Backler christened St Ann Blackfriars 4 August 1798. Died Blatherwycke Northamptonshire 19 November 1875. No children but lots of information about the Rev Sotherton Backler, and his links with different branches of Backler descendants, including the family of his aunt Mary Backler, married to John James Joseph Sudlow; and the family of his half uncle John Backler, cupper, who had had to flea to Paris to avoid court dealings in around 1820. As far as I know, his was the last use of the name ‘Sotherton Backler’.